EDGECAM Inspect combines our industry leading metrology tools and know-how, with our cutting edge manufacturing expertize. EDGECAM Inspect is a full featured, easy to use solution for users wanting fast creation of on machine measurement cycles with quick, efficient tool path creation and generation of reliable, measurement results. EDGECAM Inspect offers unparalleled ease of use and sophisticated probe path generation for both in process and end item part inspections. 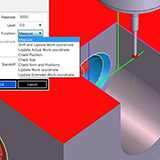 Process Validation - Complex CNC machining operations can now be easily validated with in process measurements. 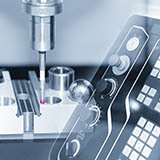 Manufacturers who are producing high value parts can quickly and easily develop probe path and integrate measurement cycles with machining cycles. 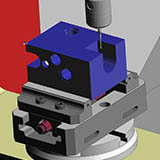 EDGECAM Inspect provides a comprehensive set of geometric features and constructions for measuring part characteristics such as webs, pockets, thickness and heights while the intuitive user interface and work flow allows the user to seamlessly transition from programming CAM cycles to measurement cycles. Probe Calibration algorithms in EDGECAM Inspect offer the user several choices when calibrating the probe for measurement tasks. Whether the application requires ultimate accuracy or speed and versatility, EDGECAM Inspect has it all. Proprietary algorithms for managing probe radius compensation in every measurement scenario ensures the user of the integrity of the measurement results under multi axis measurement scenarios. 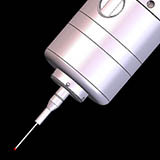 All while maintaining independence of the probe manufacturer installed on the machine tool. Programming Environment – EDGECAM Inspect is the ideal environment for the CAM programmer to develop machining and probing cycles in one output file. Because the inspection workflow is tightly integrated into the EDGECAM workspace, the transition from machining to measuring and back again is seamless. Whether stitching together probing and machining cycles for the purpose of automating part setup, managing stock for roughing operations or final part acceptance, EDGECAM Inspect provides a single programming environment for managing all aspects of the machining process. Interactive Results feedback is provided in the form of CMM style report templates along with graphical, color coded deviation information that is displayed on the CAD model. 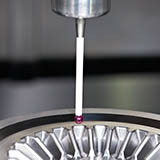 EDGECAM Inspect also provides a useful results simulation capability that allows you to produce simulated results offline from the machine giving you the opportunity to tailor your reports without having to be connected to the machine. Flexible tolerancing options allow for full reporting of measured characteristics with a pass/fail evaluation. Circular – Whether internal or external, EDGECAM Inspect has the ability evaluate bores and/or bosses for size, location and/or form.